Physicist Zhifeng Ren, director of the Texas Center for Superconductivity at the University of Houston and faculty member in the College of Natural Sciences and Mathematics, has received a research award from the Alexander von Humboldt Foundation. 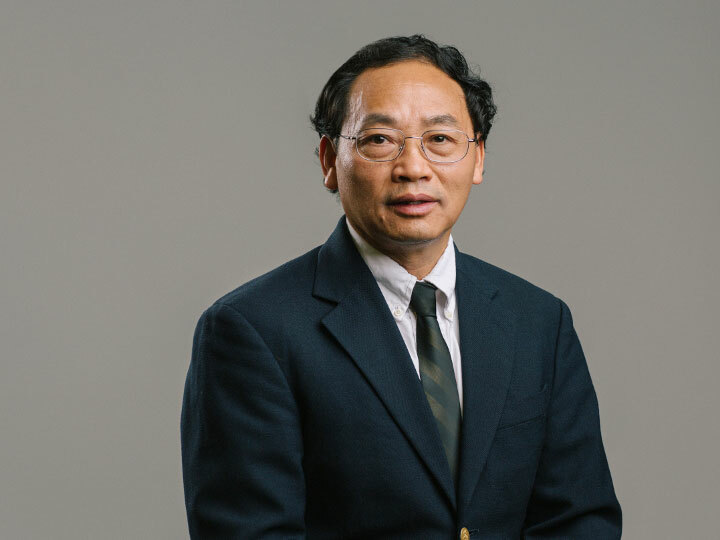 Physicist Zhifeng Ren, director of the Texas Center for Superconductivity at the University of Houston, has received a research award from the Alexander von Humboldt Foundation. Ren, an expert in thermoelectric materials, devices and systems, will use the award to further a collaboration with Kornelius Nielsch, director of the Institute for Metallic Materials at IFW Dresden, a German research institute focused on the physics and chemistry of new materials. Ren was named director at the Texas Center for Superconductivity at UH in September. Known as TcSUH, the center includes more than 200 affiliated faculty, postdoctoral fellows and students working in the fields of superconductivity, energy and health. A fellow of the American Physical Society and of the American Association for the Advancement of Science, Ren was recruited to UH in 2013 as M.D. Anderson Chair Professor of physics and a principal investigator at TcSUH. By then, his reputation for cutting-edge research in a variety of fields was well established, including work in high-temperature superconductivity, carbon nanotubes and high-performance thermoelectric materials. With the Humboldt award, he and Nielsch will focus on new fabrication techniques and the theoretical understanding of thermoelectric nanomaterials, as well as the discovery of new thermoelectric materials. Thermoelectric materials are considered an important potential source of clean energy because they can produce electricity from sources of heat that would otherwise go to waste, such as power plants and vehicle tailpipes, without generating additional greenhouse gases. But so far, most thermoelectric materials that have been discovered have power conversion efficiency ratios that are too low for large-scale practical applications. The Humboldt Foundation every year offers research awards – endowed with 60,000 euros, or about $67,000 – to bring renowned scientists from around the world to work with colleagues at German research institutions. The award also will allow Ren to host future postdoctoral researchers from Germany, funded by the Humboldt Foundation through its Feodor Lynen Research Program. Ren received the 2014 Edith and Peter O’Donnell Award in Science from The Academy of Medicine, Engineering & Science of Texas and is a fellow of the National Academy of Inventors.